PayPal doesn't allow for a zero dollar amount button. The Add to Cart button will charge 1¢ for each booklet ordered. Easy Order: Click "Add to Cart" button above and then adjust item "Quantity". Devotionals in the English language make perfect gifts for translators because they like to practice English. They could even tell those you’re witnessing to how to access Our Daily Bread Devotional online in their own language. 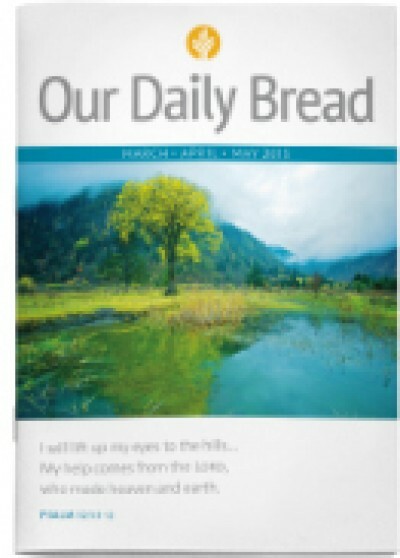 We will include the current addition of Our Daily Bread for you to take with you abroad. While placing an order for any product from this website, please feel free to order up to a dozen booklets here to take as gifts. We will attempt to include the number of devotionals you've requested, but that number may decrease since we can only include what will fit inside the package with your order if we are shipping in a USPS Flat Rate Envelope, Bag, or Box.